Desert Christian was founded in 1986 on Tucson's eastside as a high school and has since grown to include a second campus for preschool to 8th grade. Today, DCS represents more than fifty area churches as Tucson's only independent, comprehensive preschool - 12th grade Christian school. DCS is governed by a parent-elected Board of Trustees, staffed by licensed, qualified faculty and is fully accredited by the Association of Christian Schools International (ACSI). Desert Christian High School opened in 1986 following two years of planning and praying by four core families who envisioned a quality Christian high school on the east side of Tucson. Starting with just 23 students in grades 9 and 10 with a staff of 7, believing God was using them to accomplish “big things,” these families stepped out in faith and commitment. In 1991, with an enrollment approaching 100 students, following God’s leading, the Board of Trustees expanded the school by adding the Middle School in early 2000 and the Elementary School in 2004. Again led by God, our current property was purchased at 7525 E. Speedway and the campus opened in 2001. In the fall of 2011, the present Preschool - 8th grade campus opened at Wrightstown and Harrison. Desert Christian Schools maintains an intimate, robust community currently enrolling 200 high school and 150 elementary and middle school students. The schools are served by 60 full and part-time faculty and staff. 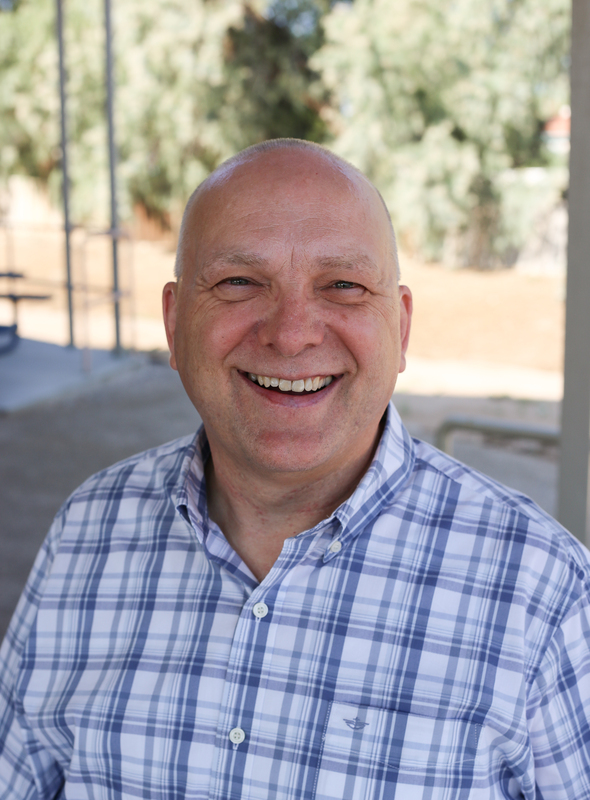 Desert Christian Schools, celebrating 30 years, has been offering a Christ-centered education. Respected academically, over 95% of our graduates attend colleges, universities and military academies across the United States. In the last three years, our graduates earned approximately $5 million in scholarships for academic achievement, leadership and athletics. In the last four years, ten of our seniors have been recognized as Arizona Interscholastic Association for Outstanding Students. In 2015 we had 1 National Merit winner. The K-8 regularly produces top finishers in regional ACSI Math Olympics and Spelling Bee. Students at all three schools consistently score well above the national average on achievement assessments, with DCHS having several National Merit Scholars in recent years. Our performing arts and musical theatre department has established a reputation for excellence, attracting audiences from all over Tucson. In recent years, the Southern Arizona Shakespeare competition has chosen students to represent Southern Arizona at the national competition at NYC's Lincoln Center with one as a finalist. USA Weekend named the DCHS production of "Camelot" the "Best High School Musical" in Arizona. Athletically, our boys and girls teams have distinguished themselves by winning many conference and state titles, but more importantly, character awards such as the Boyd Baker trophy for outstanding sportsmanship among all 1A-5A high schools in Southern Arizona. We have had several coaches named Coach of the Year and our athletic director has been nationally recognized for outstanding contributions to our state athletic association. DCHS has twice received the highest Arizona Interscholastic Association state honor, The Directors Cup Award, which recognizes the excellence of our co-curricular activities and the school's achievements in "Pursuing Victory with Honor." Our faculty and staff have also distinguished themselves with national recognition in the areas of science, yearbook, and the High School Senior Expo program. There are many blessings that accompany those who seek God's Truth. We praise Him for His guiding hand upon our school and will continue to seek His will for future generations of young people who will impact the world for Christ. Discipling Students to impact their world. Partnering with Parents in the education and healthy development of their children. Integrating a Biblical Worldview into all that we do. To provide an Authentic Christian Education, which fosters critical thinking skills; ensuring that we integrate the Biblical directive to “Love the Lord your God with all your heart, all your soul, all your strength, and all your mind” (Luke 10:27) into every area of the school. To provide a World-class Educational Experience; founded on research-based best practices. To provide a Student-centered Approach to learning; recognizing and affirming the unique aspirations, needs, and learning styles of individual students. In addition, here at DCS we process all that we do through the values of SAFETY, HONOR, INTEGRITY, and LOVE. We take these core values seriously and they are modeled by our teachers, our coaches, our volunteers, and our administration. If the above commitments, passions, and values resonate with you, then we invite you to partner with us here at Desert Christian Schools.